Three times each year, Eagle Rock brings classroom studies to a screeching halt for a week in order for students to “explore” a topic of interest, or gain skills in an specific area where they might want to make a future commitment. Doing the math, that means the average Eagle Rock student studying here for nine or 10 trimesters before graduating will experience eight or 10 of these weeklong learning experiences. That’s a respectable commitment of time and resources for our students to explore a range of topics that are completely divorced from the official curriculum that leads to graduation. And it’s a popular part of the learning that happens here at Eagle Rock — especially when you consider students don’t earn so much as a single credit for most Explore Week classes. When it comes to Explore Week — perhaps more so than anything else on campus — learning becomes its own reward. Wood Carving: Jane Rutledge, a local woodcarving artist, led a beginner’s wood carving class where Eagle Rock students learned the basics of woodcarving terminology and technique, while completing two or more projects of their choice. At the beginning of the series of classes, students familiarized themselves with handling a knife and the wood. Then they created their own pattern, transferred it on the wood, carved and finished it with paint or stain. The end product was presented to the Eagle Rock community at the end of Explore Week. Among the finished products? A walking staff, interlocking hearts, a hand holding a ball with “8+5=10” burned into it, and a sculpture of a couple that will become a wedding gift. Oh, yes, also the obligatory carved wooden stake for killing vampires. Basketball Camp: Calvin King, a current Public Allies Fellow and former Eagle Rock student, co-lead a basketball camp with friend and former college basketball player, Mike Webb. During the camp, students developed their individual and team basketball skills. 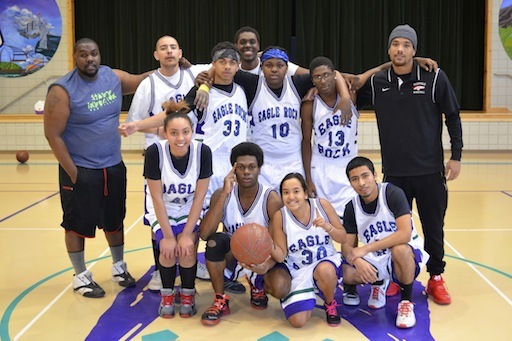 The on-court sessions ended with a student/staff basketball game played in front of the Eagle Rock community. In an effort to refrain from undermining the learning and development experienced in the camp, the staff graciously allowed the students win. By 20 points! Final score: Staff, 35 – Students, 55. 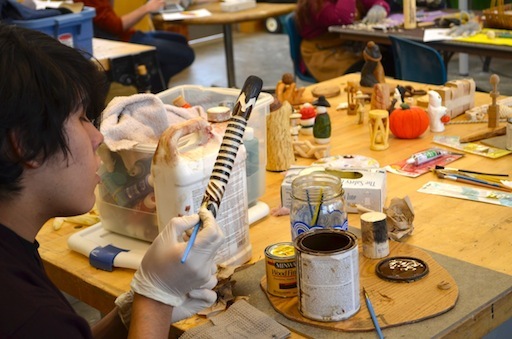 Multi-Media Art: In this course, students explored three different art media — mask-making in plaster, scratchboard and metal repose. Under the guidance of experienced Explore Week instructor and local glass artist Vickie Matron, students explored all three projects and then focused on at least one area. Beautiful scratchboard etchings and compelling masks were displayed at Explore Week’s Presentation of Learnings (POLs). 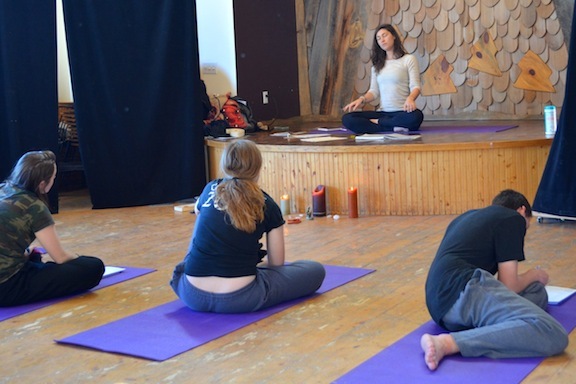 Yoga, Meditation, Manifestation: Yoga instructor Megan Kipp, led students through an exploration of various yoga (Yinyasa, Pitta, Thai Yoga Massage, Restorative and Nidra), as well as meditation practices with an emphasis on discovering specific practices that can be developed for individual purposes. Planned activities included active yoga and meditation practice, individual reflection and journaling and group discussion. Together the activities helped our students identify their “intentions” and reflect on how their thoughts and actions are connected. 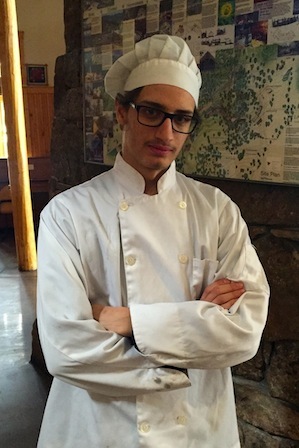 Kitchen Apprenticeship: Three students apprenticed in Eagle Rock’s kitchen as full members of the kitchen staff during Explore Week. In addition to helping with all aspects of kitchen work required to feed our vibrant community, Eagle Rock chefs made time to share their expertise in specific areas of interest related to the Culinary Arts and the students’ future cooking related goals. At the Explore Week POLs, the community was especially impressed with a “how-to” video produced by the students. 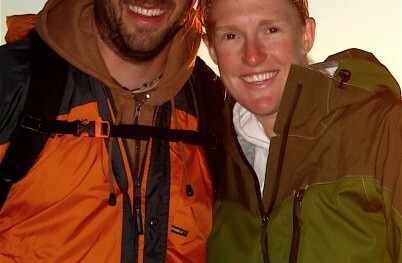 201 Student Teachers: People familiar with Eagle Rock know that new students go on a 25-day wilderness trip in the first part of the trimester. Before integrating more fully into Eagle Rock life through the course offered in the second half of the trimester, new students spend their first Explore Week in class called 201, which is designed to prepare them for full participation in Eagle Rock School classes and community life. Each trimester, veteran students are offered the opportunity to co-teach this course with Eagle Rock’s Director of Curriculum, Jen Frickey. Two students co-taught 201 this trimester and one of them claimed she developed an appreciation for what her teachers go through — and that she learned she doesn’t want to teach. Sometimes exploring teaches us what we don’t want to do! Yurt Trip: This trip has become a regular and one that many students look forward to. That leads to more students than space is available. This time around, our Wilderness staff and students chosen to participate in the yurt trip ventured into the Colorado backcountry where they learned to tele-ski while staying in a Yurt in one of the most beautiful locations in the world. The group was blessed with loads of fresh snow and the community is anxiously awaiting the group’s POL at a morning gathering in the near future. Explore Week reminds me what should be obvious: Not all learning happens in the classroom. Indeed, for many of us, the most personally meaningful learning experiences occurred outside of class, in informal settings centered on an interest and supported by an experienced, caring adult. Eagle Rock’s commitment to Explore Week — 65 trimesters and counting — offers a powerful example for institutions willing to listen: Learning and development are encouraged by institutional commitments, even small ones, that make space for students to explore areas of interest with caring adults. 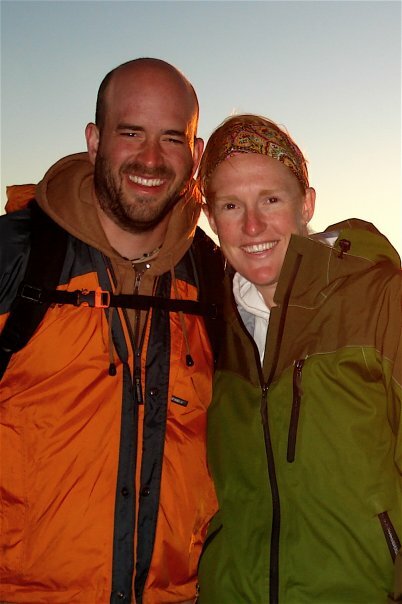 About the Author: Jimmy Frickey is Explore Week Coordinator at the Eagle Rock School and Professional Development Center in Estes Park, Colo. This entry was posted in Eagle Rock Curriculum, Life at Eagle Rock School and tagged Calvin King, Explore Week, Jane Rutledge, Megan Kipp, Vickie Matron.